A Random Walk Down Wall Street - Description | W. W. Norton & Company Ltd.
Today’s stock market is not for the faint hearted. At a time of frightening volatility, the answer is to turn to Burton G. Malkiel’s advice in his reassuring, authoritative, gimmick-free and perennially best-selling guide to investing. 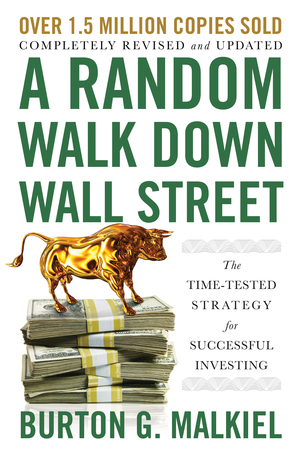 Long established as the first book to purchase before starting a portfolio, A Random Walk Down Wall Street now features new material on “tax-loss harvesting”; the current bitcoin bubble and automated investment advisers; as well as a brand-new chapter on factor investing and risk parity. And as always, Malkiel’s core insights—on stocks and bonds, as well as investment trusts, home ownership and tangible assets like gold and collectibles—along with the book’s classic life-cycle guide to investing, will help restore confidence and composure to anyone seeking a calm route through today’s financial markets. Naked Economics gives you the tools to engage with pleasure and confidence in the deeply relevant, not so dismal science. From the million-copy-selling author of A Random Walk Down Wall Street, the perfect guide to investing in the next economic giant. Simply put, the essential first book for any investor.